The media stories about a recent study regarding dangerous ingredients in pet foods have many pet owners concerned, and rightfully so. The study demonstrated that pet foods often contain expired grocery store meat, meats from diseased animals and animals killed by other means than slaughter (such as euthanasia), moldy grains, genetically modified foods, cancer-causing additives, and many other ingredients that are shown to be harmful and unhealthy for pets. Additionally, it reported that there were many pet foods with ingredients pets can’t easily digest. This included foods that were labeled “organic,” and “natural” — not just the traditional mass market store brands. The study pointed to a lack of regulations and laws as the culprit, as well as lack of enforcement and practice of the standards in place. For a lot of pet owners, suspicions about what’s in pet food has been increasing over the years with the witnessing of increased cancers in pets, tooth loss, vomiting after meals, digestive problems, allergies and other issues. It has sparked a greater demand and market for products that give our pets better, higher quality nutrition and ingredients. However, the study has confirmed what many pet owners have wondered and felt concerned about: What our pets are eating may not be good for them, even if the label says it is. It has a lot of pet owners wondering what they should feed their pets now, and what is or isn’t safe. This is a great question you can ask (and get answers about!) from a veterinarian on Kuddly. You’ll want to share your animal’s type, breed, age, weight and other details. You can share if he or she has any dietary favorites or favorite foods, and be sure to include any reactions you might be seeing or have been experienced in the past that you feel may be related to his or her meals. Not only that, you can return to the same vet on Kuddly to update on progress, get additional information and advice — all for a fraction of what it might cost for a veterinary office visit! 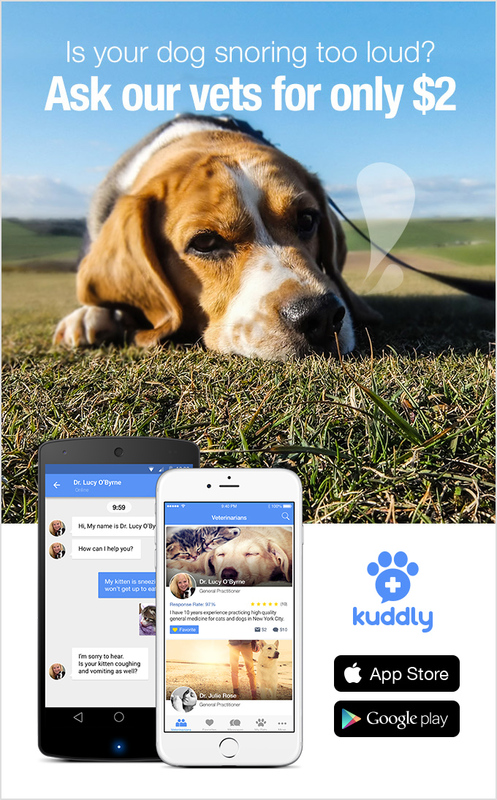 We’re passionate about better care for pets everywhere here at Kuddly, and our veterinarian community are happy to help answer any questions you may have about what your pet should (and shouldn’t!) be eating.